Everyone pays copy fee of $1.00 per page. The Ripley County Historical Society has enrolled in the Amazon Smile program. When you shop on the Amazon Smile site Amazon donates a small percentage of of the purchase price to the organization of your choice. There is no cost to you and you use the same user name and password as your regular Amazon account. You just log-in to the Amazon Smile site instead of the regular Amazon site; everything else is the same. Click here to learn about Amazon Smile. Click here My Amazon log-in page to go directly to Smile Amazon to log in using your Amazon account. If you would like for Amazon to donate to Ripley County Historical Society, select Ripley County Indiana Historical Society. RCHS is not legally liable or responsible for the content on non-RCHS websites that are linked to on these pages. Requests for information MUST BE MAILED to us! There is a $7.00 research fee, plus copy fees of $1.00 a page. Send an extra $1.00 postage for more than 5 pages of copies. Questions mailed without the fee and an SASE will be answered with minimal information, but copies will not be sent until the fee is received. This is a Non-Refundable fee....research does take time to do. 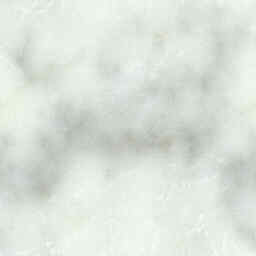 Please include a large self addressed, stamped envelope (SASE) in your request. Do things go bump in the dark at your home? Maybe you think you have 'haints'? Why not let a local 'ghost hunter' team check it out for you? 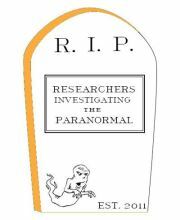 RIP, Researchers Investigating the Paranormal wants you! Effectively Tapping in to Local, County, State Historical Societies and Libraries by Barry J. Ewell is an excellant presentation for genealogists - both the newbies and experts! Companion article for the presentation. The Toph PapersIndex to surnames found in the 3,000+ pages. RIPLEY COUNTY HISTORICAL SOCIETY library located in the old Versailles Bank Building. RIPLEY COUNTY HISTORICAL SOCIETY museum located at the corner of Main and Water Streets in Versailles. Ride to the Oregon Territory with Joseph Willams who was a 64 year old Ripley County preacher that wanted to preach to the settlers out west in this new territory. Ride with the group he went with and experience life as he tells it while enroute. Click an icon at the bottom of the diary pages to move forward-backward-home. 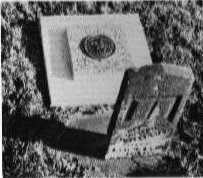 A weathered stone marks the grave of the Rev. Joseph Williams, who died January 9, 1859 at 81 years of age. The emblem of United Methodist ministers was placed there during the Bicentennial Year by the Ross' Run Chapter, DAR. An itinerant minister from 1805 to 1809, Mr. Williams "located" when he married. But he continued in ministry, probably organizing a class meeting. Links to the State Library...and more links to Indiana pages, and also many links to other genealogy pages!! Ripley County INGenWeb has genealogy information, and links to other sites that can help a genealogist in their research. Morgan and his raiders entered Ripley County from Jennings County on Sunday, July 13, 1863. Their first stop was at Rexville in Shelby township, where a general store was looted. From Rexville they marched to Versailles where they were met at the new courthouse by a hurriedly summoned band of the militia and citizens. The raiders seized the guns belonging to the militia and broke them against the corner of the courthouse, which at that time was not completed. The Deputy County Treasurer, B. F. Spencer, had buried the county funds for safety from the raiders. The treasurer's office was looted and it is reported that several thousand dollars was taken by the raiders. Private citizens having funds or valuable jewelry and silverware hid them in a safe place. Many housewives hung their jewelry in the bean vines and other secret hiding places. Horses were hidden as well as possible in advance of the raiders, as they constantly seized fresh horses, leaving worn out nags, occasionally, in their stead. Housewives were ordered to prepare meals for the marauding cavalry and feed was appropriated for their animals, all available supplies were used or carried away. The detachment, to be known forever in American history as Morgan's Raiders, did not march in a compact body but followed a general course in scattered units, the central force of about three thousand men, containing the leaders--John Morgan, and his two lieutenants.